We (Mike DiPietro, Darren Magan and our coaching staff) are very excited to announce our 2019 development (pre-season camps), AAU and Tournament baseball season. Our focus is with players between 9-18 years of age and have a desire to improve their baseball skills. Brigade Baseball is not intended to take the place of youth , middle school or high school baseball, but ­­our platform (limited weekend games) will work in conjunction and accelerate their development for these programs. 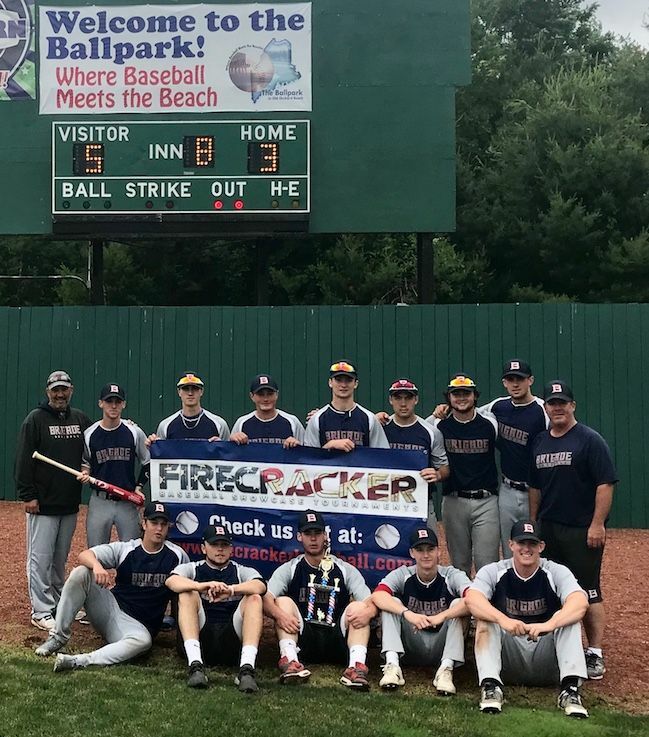 Our agenda at the older ages is to establish a forum, through local New England tournament play, that showcases players’ talent for a potential college career. To accelerate the development of baseball players of all ages and levels by providing an environment that builds skills, confidence and character. The Brigade platform goes well beyond the baseball field. This is about providing an environment that fosters building future leaders through a team focus. Life lessons are applied to every facet of our baseball curriculum. Our players will walk away with not only a great baseball experience but a set of core values that can be applied to real world experiences. We've been approached by a few families about expanding our baseball program to offer softball starting in the fall of 2019 (evaluations) with tournaments in 2020. The goal is to capture the success Brigade is seeing with baseball and expanding to an ever growing community of softball players. You will see a consistent theme with the approach around communication, coaching (softball specific), training, facility, practices/tournaments and uniforms/equipment. Brigade with our partner M2 Athletics, will be establishing a discovery session to further explore the reality of Brigade Softball in 2019/20. We need you, tell us what you want when it comes to a softball program. Here we'll gather, digest and propose an offer based on the feedback we receive. Please join us at M2 Athletics (72 Jefferson St. - Marlboro, MA) on Friday, March 29th at 7:00pm. Please confirm that you'll be attending. If you can't make it, please share your interest and thoughts. Brigade Baseball's U18 Teams wins the 1st Annual All American Lighthouse Classic 19U Division Tournament. Brigade went 5-0 in the tournament, including a 5-3 Championship win over North Haven CT Post 76. Brigade fell behind 2-0 in the first but came back with 3 in the fourth highlighted by RBI doubles by Cole Durkan and Mitch Crory and an RBI Triple by Kevin Girardin. New Haven was able to score one run in the bottom of the seventh to send the game to extra innings. In the top of the 8th, Johnny Flynn led off the inning with a single, followed by a bunt hit by Brandon Anderson. After a sacrifice by Nick Pelrine, Justin Cranston drove in Johnny Flynn with an infield hit followed by a base hit by Holden Ferrari to drive in Brandon Anderson. Eddy Beaugard closed out the game in the bottom of the 8th on the mound for the win. Matt Aronson went the first 5 innings and gave up 1 earned run, Eddy Beaugard pitched the final three innings. Justin Cranston was named tournament MVP.